The Kegerator is the obvious choice for serving draught beer from the comfort of your own home. Our Kegerator allows you to enjoy beer as it was meant to be served, draught on tap from the convenience of your own home. There's nothing like being able to pour yourself a long, cold glass of your favourite draught beer after a hard day's work. 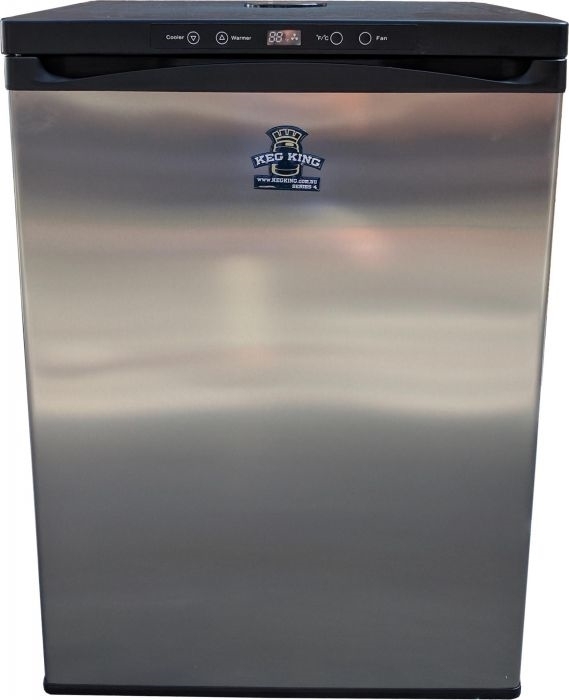 If you're serious about having a professional home bar setup, then the CraftBrewer Kegerator with its stainless steel door and handsome black cabinet makes a stylish addition to any home bar. The Kegerator holds a 50 litre commercial keg of your preferred beer or three 19 litre post mix kegs of your own homebrew. •More powerful compressor. Approximately 20% more electrically efficient.